26mm 18K yellow gold case, fluted bezel, champagne dial, diamond hour markers, and President bracelet. "Y" serial number. 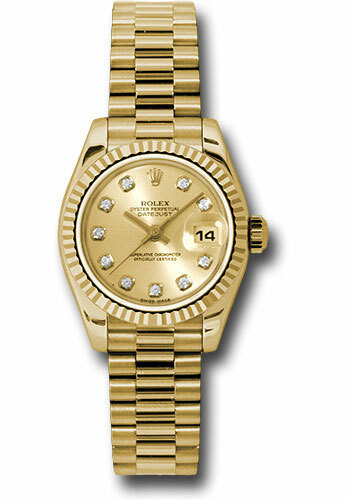 Gently worn, previously owned Rolex, certified authentic, fully serviced and inspected. Backed by our own 1 year warranty.